Everything you need in a business phone system | 8x8, Inc.
8x8 Virtual Office Editions includes unlimited calling, auto attendant, video, SMS, chat and web conferencing and more. 8x8 Virtual Office Editions include everything your employees need to efficiently communicate with customers, suppliers, and co-workers. Business voice, auto attendant, audio and video conferencing, and instant messaging are all included. 8x8’s Virtual Office Editions makes business communications elegant and simple to configure for administrators. 8x8’s web based Configuration Manager allows you to easily manage your cloud phone system from anywhere, anytime. 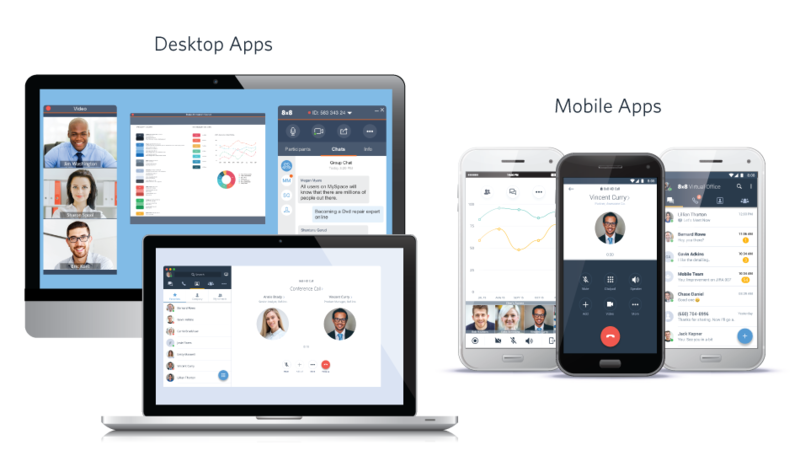 8x8 Virtual Office is offered in three editions that provide companies powerful enterprise-class business communications features with the flexibility and mix-and-match pricing model that’s best suited for their needs.